Nigerian Biography: Biography Of Maikanti Kacalla Baru, The Group Managing Director of the Nigerian National Petroleum Corporation, NNPC. 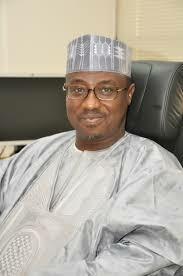 Biography Of Maikanti Kacalla Baru, The Group Managing Director of the Nigerian National Petroleum Corporation, NNPC. Maikanti Kacalla Baru was born on July 1959. He is a native of Jama’are in Bauchi State, in the North-East geopolitical zone of Nigeria. He grew up in Jos, Plateau State State of Nigeria. Maikanti Kacalla Baru attended Ahmadu Bello University, Zaria, where he studied Mechanical Engineering and obtained Bachelor of Engineering (Mechanical) Degree with a first class honours. After his university degree, Maikanti Kacalla Baru studied further and currently holds Doctorate Degree (Ph.D) in Mechanical Engineering. Maikanti Kacalla Baru worked with GGM, Liquefied Natural Gas. He was NNPC’s chief technical negotiator on the West African Gas Pipeline project from July 1999 to April 2004. He later became a director in the Nigerian National Petroleum (NNPC)’s owned Carlson Services (UK) Limited between December 7, 2004 and January 25, 2007. He was also a GGM, National Petroleum Investment Management Services. He once served as GGM, Liquefied Natural Gas. Maikanti Kacalla Baru equally served as the Special Adviser (Upstream) to the Minister of State for Petroleum. Before being appointed adviser, he was the Group Executive Director, Exploration and Production of the Nigerian National Petroleum Corporation (NNPC). In July 2016 Dr. Maikanti Baru was appointed by President Muhammadu Buhari as the new Group Managing Director of the Nigerian National Petroleum Corporation, NNPC. Maikanti Kacalla Baru is a Fellow of the Nigerian Society of Engineers, and is well respected fellow within the profession.